Q: Why can’t the mini package have a mermaid that swims? A: Our mermaids have fun poolside and in the water however our tiniest mermaid friends are safest and enjoy the mermaid most at the edge of the pool near the steps. They are too young to safely play mermaid games but tend to really enjoy hearing her sing and tell stories from her magical land. 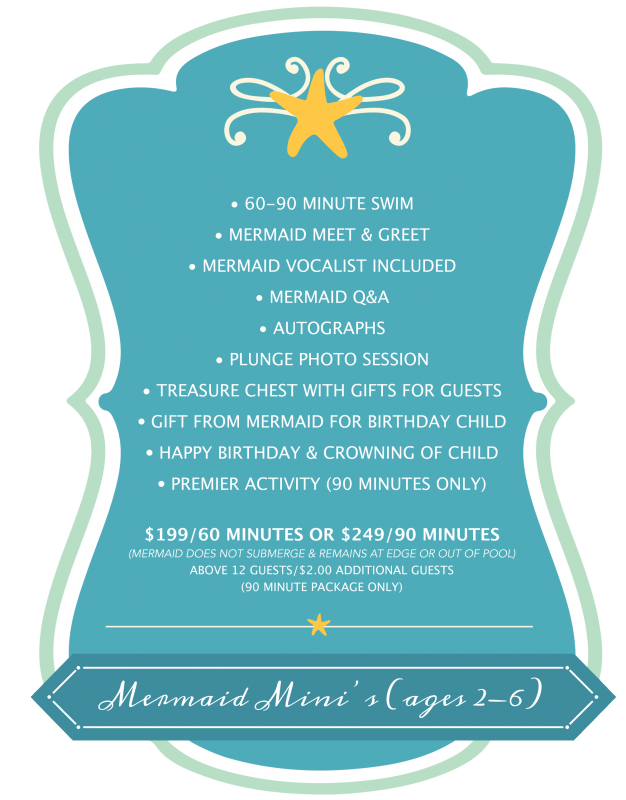 Q: Why are the other mermaid packages more expensive? Q: Why do I need a lifeguard? We have adults at the event watching. A: Ever After Event Productions, LLC does not provide a lifeguard for events and the assistant does not serve as a lifeguard. EAP is not responsible for any injuries that may occur at event and our mermaids are for entertainment purposes only. It is best to have additional eyes on the party guests in addition to parents such as a lifeguard that is certified and can identify an issues easily and provide full attention on those in the pool. Q: How does the mermaid get into the pool? A: For all parties the host must have 2 strong people identified to help the mermaid from the car or at the determined check-in to the pool. We recommend the same two people help her out of the pool to the front of the house upon departure as well. We recommend a designated adult is present to keep the party-goers in the backyard upon arrival and departure to keep the magic alive! Q: Why can’t the mermaid wear a wig with her costume? A: EAP’s wigs for our characters are top of the line from one of the best wig makers in the country to ensure a realistic and beautiful character every time. Due to the fragility and quality of these wigs they cannot be submerged in water. Instead our mermaids come with hair beautifully done with ribbons and accessories, waterproof mermaid make-up and lots of mermaid glitter! Q: What are the costumes made of? 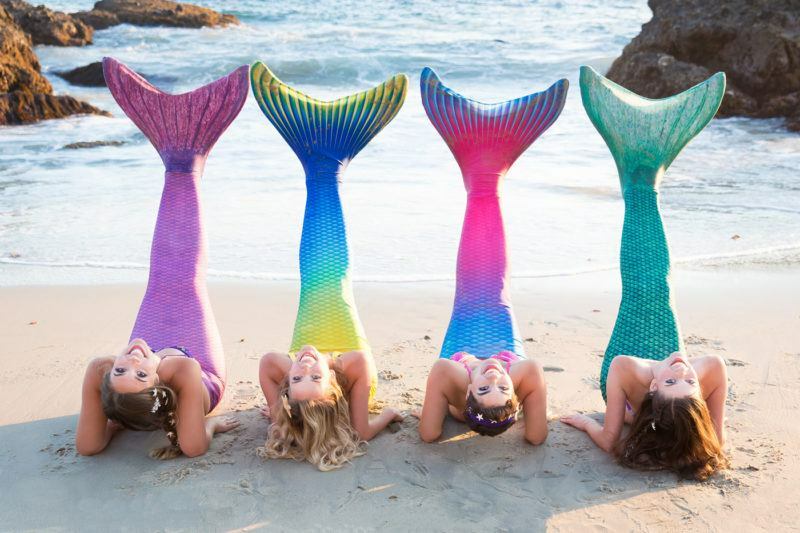 A: Mermaids have a lycra mix for their tail and monofin with additional accessories. 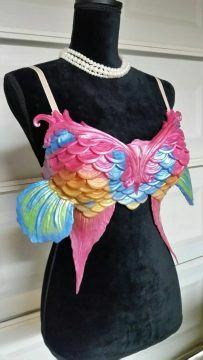 The tops (not shown on mermaids in these photos) are silicone tops that vary in color and artistry. A photo has been provided at the bottom of this page as an example. Q: What does she do in the water? 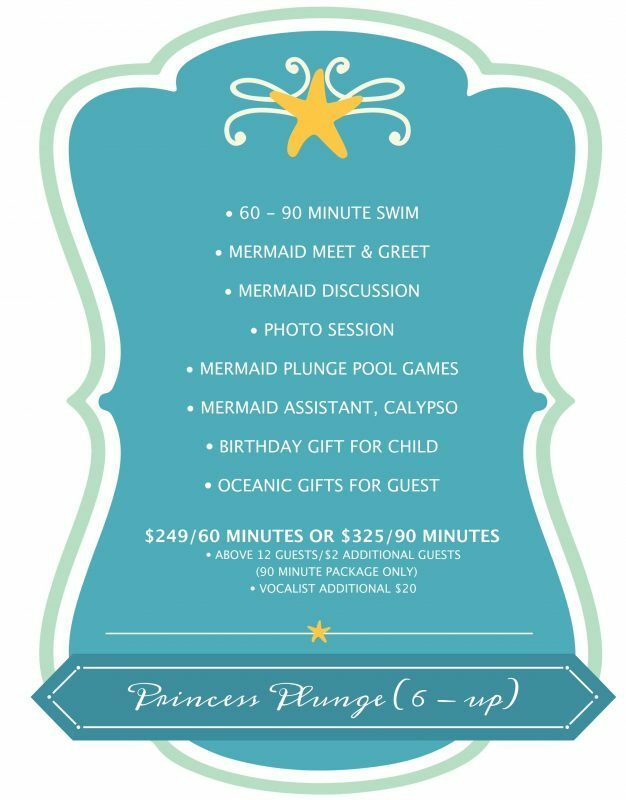 A: Other than the Mermaid Mini package, your mermaid will swim and do tricks in the water before pool games. Guests can be view this by standing at edge of pool instead of swimming in pool at this time. The assistant will ask the guests remain outside or to edge of pool for this part of the party. We also ask that at any time guests do not hang on the mermaid while she is submerged as this is dangerous for the performer. Q: Is it your same princess cast that are mermaids? A: Yes, but not our entire cast. 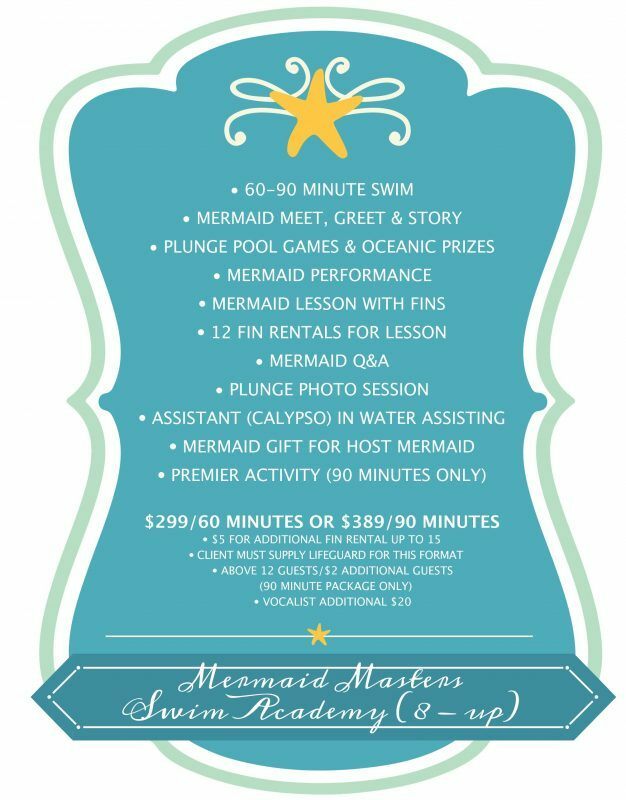 Only current cast are eligible each year and must train and audition in order to do swimming mermaid parties. Mermaid assistants are also current cast and come as a “land mermaid” to add even more fun to the event.